AN UNIDENTIFIED man robbed a hapless 11-year-old, pandesal vendor in Caloocan City last week. The suspect took advantage of someone powerless and stole his hard-earned money. He has a very bright future in politics. Some politicians have reportedly visited the victim and extended support. The politicians praised him for being a hard worker, and then lashed out at the robber for his lack of originality. An 11-year-old boy who was selling pandesal was robbed of his earnings by an unidentified man in Caloocan City. Reports say the victim has been saving so he could buy a bicycle. Neighbors of the robber say he has been stealing so he could own an air-conditioned piggery. In the latest Social Weather Stations survey, Vice President Binay obtained his lowest net satisfaction rating in four years. The Vice President’s rating dropped by 15°C. 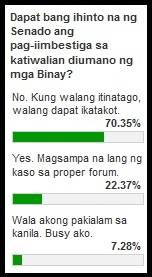 From +67 in the second quarter of the year, Vice President Binay’s net satisfaction rating plunged to +52 in September. To be fair, the Vice President has maintained the highest satisfaction rating among top government officials (Aquino, Drilon, Sereno, and Belmonte trail him). In fact, Binay leads Belmonte by a wide margin, 39 hectares to be exact. UNA interim secretary general JV Bautista believes DILG Sec. 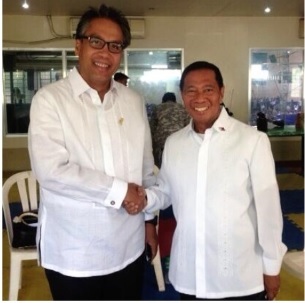 Mar Roxas is behind Oplan Stop Nognog 2016 – allegedly, a plot to derail Vice President Binay’s presidential bid. The Binay camp is certain that Oplan Stop Nognog is targeting Binay because the operation has Phase 1, Phase 2, Phase 3, Phase 4 and Phase 5. Liberal Party allies of Mar Roxas categorically denied the allegation made by JV Bautista that the DILG chief was behind Oplan Stop Nognog 2016. Besides, if Mar was behind that plot, he would have probably called it Oplan Stop Malignong Maliit at Maitim 2016. 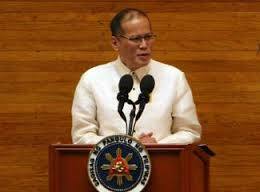 Malacañang couldn’t believe the results of the Pulse Asia study. Palace spokesperson Edwin Lacierda even questioned its timing. The ‘Tuwid na Daan’ survey was conducted from Sept. 8 to 5 and had a margin of error of plus-or-minus Allan Purisima. 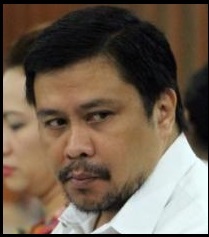 A news report says Jinggoy Estrada is suffering from the same illness as Gloria Macapagal-Arroyo: arthritis of the neck. The report has been dismissed as baseless and preposterous mostly because Jinggoy doesn’t have a neck. According to the Philippine Daily Inquirer, Jinggoy Estrada and former president Gloria Macapagal-Arroyo have the same ailment. The condition is called cervical spondylosis. It is commonly known as karma. The Anti-Money Laundering Council has discovered that Bong Revilla lied in his SALN. Among other things. 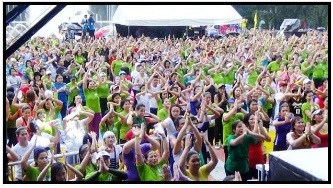 Because of heavy rains, Quezon City failed to break the Guinness world record for the largest Zumba class last Sunday. 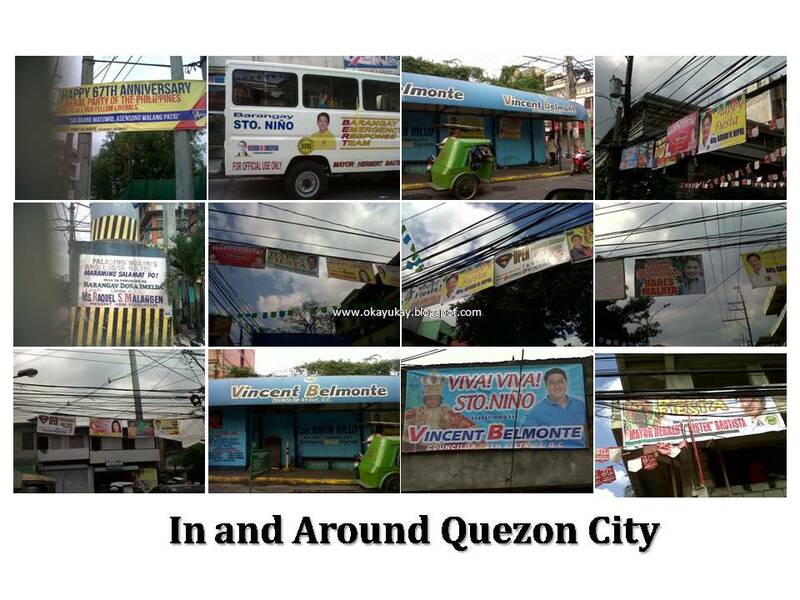 Mayor Herbert Bautista and council must not be sad though because the city has set a world record for most number of tarps, tents, posts, walls, waiting sheds, and billboards with names and images of politicians. Congratulations! To prevent crime, Bulacan Rep. Gavini Pancho wants to ban the use of cell phones inside banks. 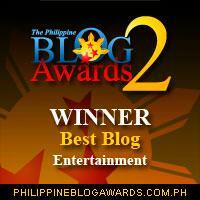 Pancho’s suggestion was praised for being brilliant and novel… 12 years ago. On the average, 660 criminal acts are committed per week in Metro Manila according to the NCR Police Office. Most crimes are committed on the streets. The rest are in session halls. I wish I could send money to the boy, but I don’t know how.